Rory is one of our Pet Relocation Coordinators and takes care of business development for Pets Go Global. Rory graduated from the NMMU in Port Elizabeth with a Wildlife Management degree and has experience in several game reserves in South Africa. He has also taken care of a private collection of animals in Al Ain prior to joining GVC in 2014 as a Veterinary Nurse. 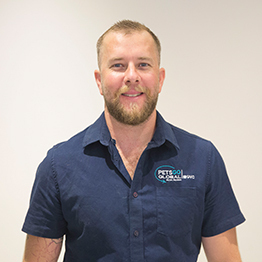 After gaining more experience in the commercial side of the Veterinary industry in Dubai, Rory rejoined GVC in 2017 as a valued member of the Pets Go Global Team. Rory is strongly passionate about animal welfare and loves working with animals and their owners. He loves nothing more than the happy ending of reuniting pets safely with their families.